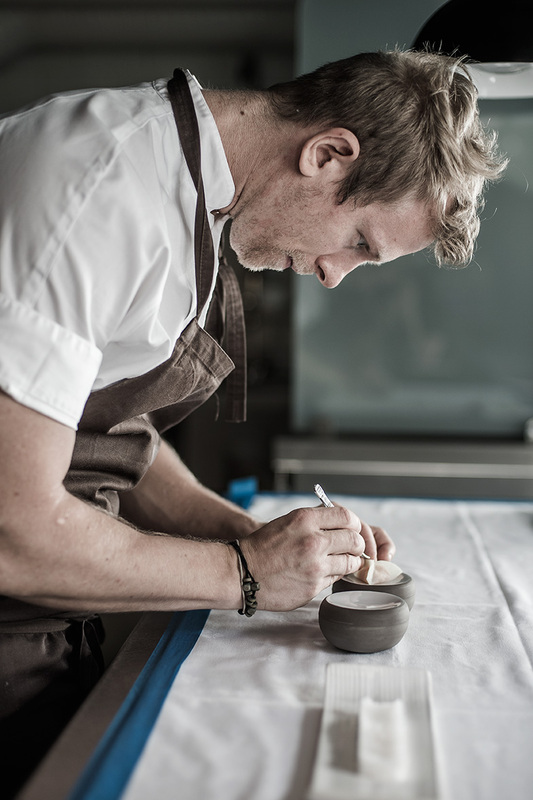 Sven Erik Renaa offers the best produce of the region in his 21 seats’ STUDIO. Welcome to a culinary evening with us. The Chef offers a menu based on the best produce available. Approximately 20 to 22 servings. Our focus is on the best products from the sea, fjords, land, forests and mountains in this fertile and generous region. Drink menu is chosen by our sommeliers, and adds an extra dimension to our food. The experience will provide a unique tasting journey whatever the occasion. Click here for wine list. 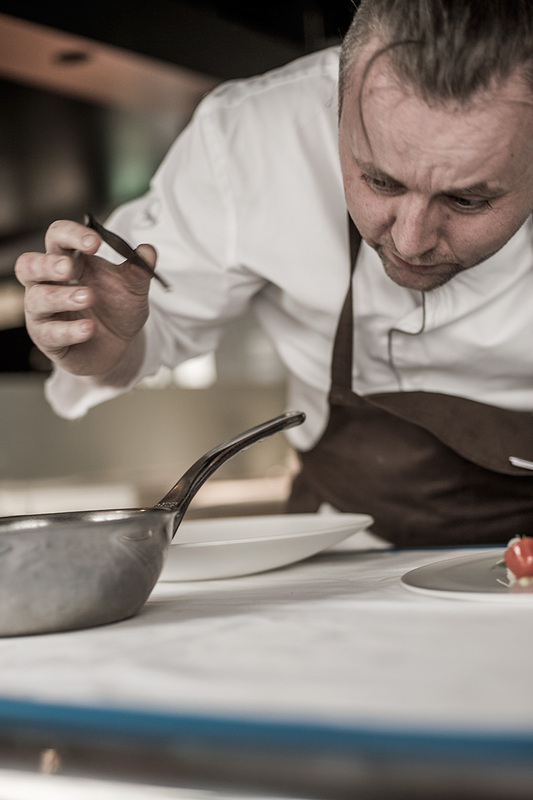 Highly awarded Norwegian chef, born and raised in Trøndelag – with an Italian father. He started his career at Britannia Hotel, where his mother also worked. He then moved to Oslo, where he worked at Anden Etage at Hotel Continental and Bærums Verk, before he went to the legendary Park Avenue Café with renowned chef David Burke. After New York Renaa returned to Oslo as Head Chef at Brasseriet Hansken, where he stayed for three years before he became Head Chef at ORO with Bocuse d’Or winner Terje Ness. Renaa then left for Stavanger and The Culinary Institute of Norway, where he worked as an advisor and as Coach for the Norwegian Culinary team (junior and senior) for 8 years before he (finally!) opened Renaa Restaurants in 2009.